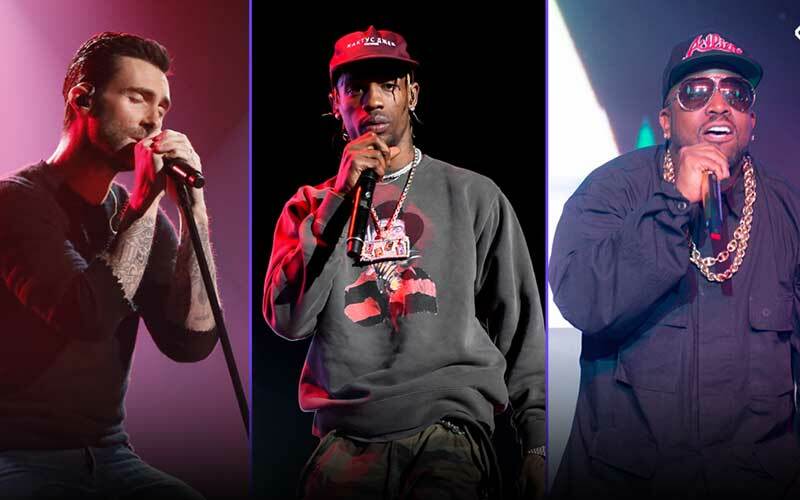 Maroon 5, Rappers Travis Scott and Big Boi are the acts to headline Super Bowl half time show on Sunday. Their confirmation was delayed by the National Football League (NFL) until few weeks to the Super bowl. The delay was attributed to the criticism that the institution has received over its treatment of the now Nike ambassador Colin Kaepernick. Kaepernick opted out of his contact with the San Francisco 49ers as his decision to sit and at times kneeling during the singing of the national anthem drew criticism from some of the club owners in the NFL. He has been protesting the oppression of the black community. Fans wrote a petition that got over 100,000 signatures asking Maroon 5 not to perform. Travis Scott agreed to join the band on stage citing that his decision is because the NFL agreed to donate 500,000 US dollars (Sh50 million) to Dream Corps, a social justice organization. After the announcement he has dealt with criticism from his fans with Colin Kaepernick has denying claims that Scott consulted him whether to perform. Big Boi, a member of the Outkast hip hop group, has received the least criticism over his decision to join the half time show performances but has been dead silent with a section of the media reporting that he may be doing this to try and direct traffic elsewhere.